While prospective law students are likely to watch Buzzfeed's recent Law School Horror Stories video, as most lawyers will tell you, those stories are significantly lacking in horror. Frankly, the tales told are just not that bad (excepting the Texas moot court discriminatory comment). No one was brought up to the front of class, nicknamed "fruit salad" by their prof, and told to stand up and spin around in circles because they're "all mixed up." Every lawyer has some law school story of suffering, and if you find the Buzzfeed video scary, you might want to think twice about law school. As a 1L, a professor for six consecutive class meetings cold called on yours truly relentlessly. But even when the answers provided were correct, the professor would point out that there was another issue, significant fact, or point. Other students sympathized. Some laughed. Simply put, being embarrassed or under/unprepared does not constitute a horror -- that's just part of the law school process. Having your laptop crash mid-final exam, losing a scholarship and not being able to qualify for financial aid, having your pen explode all over your bluebook, sitting behind someone who cannot control their bodily functions during the bar exam, not landing a job or passing the bar post graduation: these are the law school horror stories that truly traumatize. There are a few ways to handle the stress and trauma that generally coincide with law school. First off, if you've suffered a legitimate trauma like Roy Moore (a.k.a. Mr. Mixed Up Fruit Salad) did as a 1L, get professional help. If you are just starting to feel the stress piling on, you may still benefit from professional help, but you might not necessarily need it. Therapy: Your school likely has counseling services and those services can refer you to qualified therapists that are experienced in dealing with law student and lawyer stressors and common traumas. 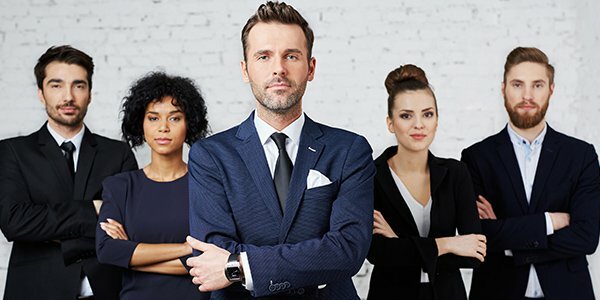 You are not alone, and more likely than not, some lawyer has experienced the same as you or worse, and they're practicing law (so that means they made it through law school and the bar exam). Mindfulness: A relatively recent trend in the legal community is the push towards mindfulness. Generally, this involves recognizing your limitations and engaging in the self-care necessary so that you can continue to be a good professional. In short, you can't take care of others if you don't take care of yourself. The most powerful tool creators of horror have is the imagination of their audience. If you're afraid about something related to law school, learn as much as you can about it. Once you demystify what you're afraid of, you can start to see that there's really nothing to be afraid of. As one of Buzzfeed's horrified law students explained, not knowing an answer in law school doesn't matter in the grand scheme of things. Don't be embarrassed. Don't be afraid. Stay focused and study on.